Lack of sleep can have a negative effect on your life. It can make you irritable, emotional and affect your ability to concentrate. 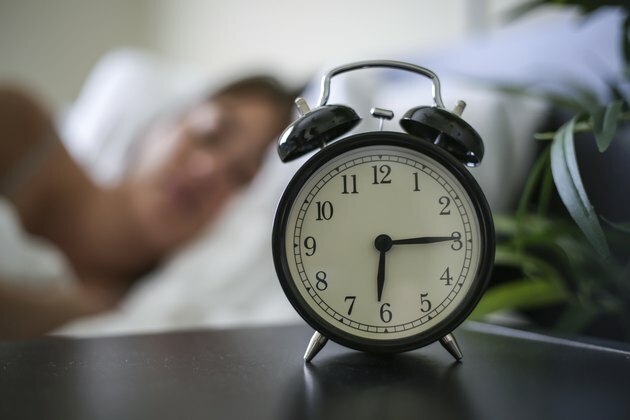 If you suffer from insomnia, there are several options to help induce sleep. One of these options may be magnesium glycinate, a compound found naturally in your body and readily available for supplementation. According to Dr. Mark Hyman, founder of UltraWellness.com, magnesium deficiency is common. It can cause many sleep-related complications, including increased stress and insomnia, as well as cramping, tightness and irritation of nearly any body part. Hyman considers magnesium as the best relaxation mineral available. If you have a magnesium deficiency, you may want to take a magnesium glycinate supplement, which is one of the most readily absorbed forms of the magensium. Magnesium deficiency most often occurs because it is not abundant in food sources, says Dr. Steven Hotze, founder of Hotze Health and Wellness Center in Katy, Texas. It is not present in sufficient quantities in soil, meaning little magnesium makes it into our food. Hotze also notes that processing and cooking food depletes it of what little magnesium it does contain. He suggests consuming whole, unprocessed foods, such as grains, green vegetables, seeds and nuts, to increase your blood magnesium levels naturally. Melatonin is a brain chemical that induces sleep. For your brain to produce melatonin properly, it must first bind to magnesium in your blood. For this reason, if you have a magnesium deficiency, you may have trouble regulating your sleep cycles. Magnesium glycinate supplements may help to increase the amount of melatonin your body produces because it is readily absorbed by your body, allowing magnesium to reach your brain more easily. Dr. Hotze states that magnesium is a key element in the production of serotonin in your brain. Because serotonin is a mood elevator, a lack of it can cause depression, a symptom of which is insomnia. Dr. Hyman also suggests that high stress levels, another depression symptom, may lead to a decrease in magnesium levels in your body. If you are mildly depressed or frequently stressed, you may consider taking magnesium glycinate supplements to improve your mood and your sleep habits. According to Dr. Hotze, magnesium supplementation has few complications. If you suffer from kidney failure or bowel obstruction, however, magnesium may be dangerous for you to ingest. He also points out that heart block and a condition called Myesthenia gravis may be worsened with magnesium supplementation. Although magnesium supplements may reduce your dependency on heart medications, you should only attempt to use magnesium to improve symptoms if you are under close supervision of a doctor. What Are the Benefits of Magnesium Glycinate?